ISTOCK, DRAFTER123Psychiatric disorders display common patterns of gene expression, according to a study published today (February 8, 2018) in Science. Researchers have analyzed transcripts within the post-mortem brains of hundreds of people with autism, schizophrenia, bipolar disorder, depression, or alcoholism, as well as healthy controls, in order to learn about how gene expression changes within the diseased brain. 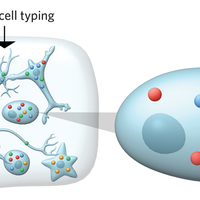 Daniel Geschwind, the University of California, Los Angeles, neurologist who led the work, and his colleagues wanted to determine the molecular signatures for psychiatric disorders, and they thought the transcriptome in the brain could be such a signature, he says. His study reveals common patterns of differential gene expression among the brains of people who had either autism, schizophrenia, or bipolar disorder. 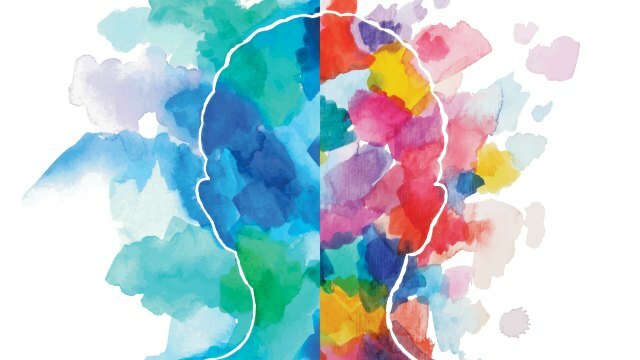 Yet other commonalities emerged among the brain transcriptomes from patients with either schizophrenia, bipolar disorder, or depression. The researchers discovered a correspondence between a differential expression of genes and the possession of particular SNPs, suggesting that these transcriptome changes have a genetic basis. 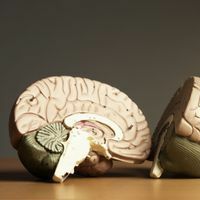 Researchers already knew a fair amount about genetic variants that increase the risks for psychiatric disorders, and studies had shown that there is overlap among the genetic risk factors for some disorders—for example, between bipolar disorder and schizophrenia—but less was known about how gene activity changes in the brains of people with various psychiatric disorders. To investigate that question, the researchers aggregated data from previously published microarray studies of RNA transcripts present in the post-mortem brains of patients with the five psychiatric diseases, as well as controls. They then analyzed the data, drawn from a total of 700 brains, to determine, first, the genes that were over- or underexpressed in people with a disorder compared to controls, and second, whether any of those patterns of differential gene expression were shared among the five disorders. Next, in what’s called network analysis, the researchers looked for changes in the expression of groups of genes, called modules, that tend to be transcribed together. In brains from patients with bipolar disorder or schizophrenia, modules related to both microglia (the brain’s immune cells) and astrocytes (glial cells involved in the inflammatory response, synaptic maintenance, and other functions) were upregulated. In the brains of people with autism, microglial modules, but not astrocyte-related ones, were upregulated. In all three cases, the upregulation of these modules suggests some kind of inflammatory response, Geschwind says. Additionally, the researchers used independently collected RNAseq data from the PsychENCODE Consortium to analyze RNA levels in the brains of patients with autism, schizophrenia, or bipolar disorder, and their results corroborated their findings from the microarray data. Geschwind’s team also compared the gene-expression changes they observed in the brains from psychiatric patients to those in the brains of primates on psychiatric medications to ensure that whatever medications the patients may have been taking were not responsible for the gene-expression patterns reported in the study. 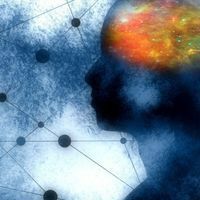 Reassuringly, they found that the gene-activity signatures of the brains from psychiatric patients tended to go in opposite directions from those in the brains of the drug-treated primates. 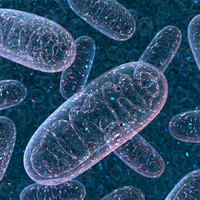 Finally, the researchers discovered a correspondence between a differential expression of genes and the possession of particular single nucleotide polymorphisms (SNPs), suggesting that these transcriptome changes have a genetic basis. M.J. Gandal et al. “Shared molecular neuropathology across major psychiatric disorders parallels polygenic overlap,” Science, doi:10.1126/science.aad6469, 2018.